SUNNYVALE, CA — (Marketwired) — 06/23/14 — AMD (NYSE: AMD) today launched the AMD FirePro™ W8100 professional graphics card, enabling new levels of workstation performance delivered by the company’s second generation, industry-leading AMD Graphics Core Next (GCN) architecture. 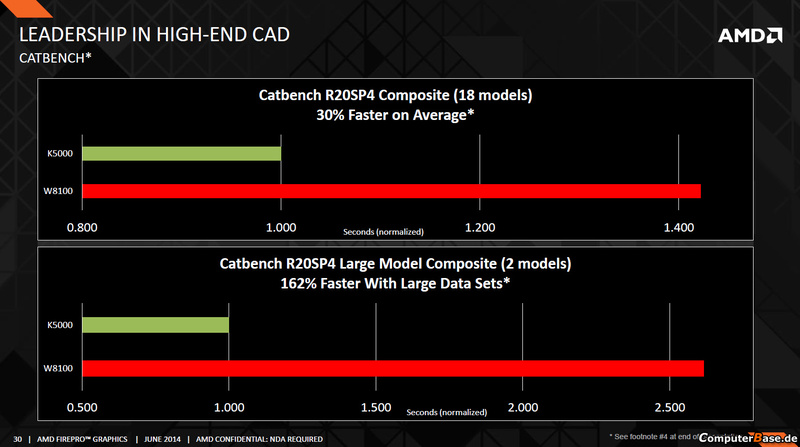 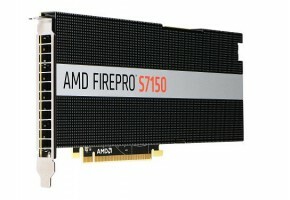 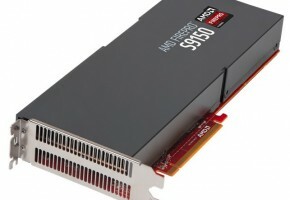 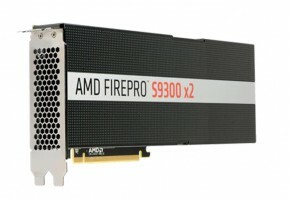 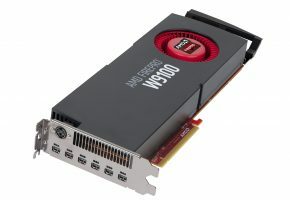 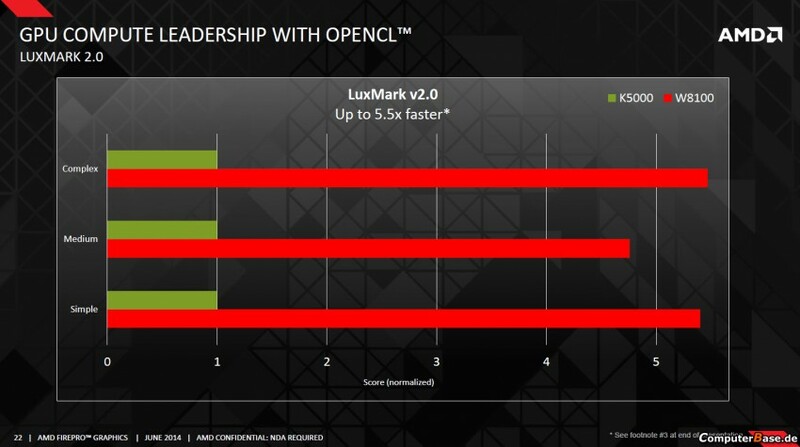 With nearly 38 times the performance of the closest competing product based on double precision testing1, and powered by OpenCL™, the AMD FirePro W8100 is designed for the next generation of 4K CAD (Computing Aided Design) and Media and Entertainment (M&E) workflows, engineering analysis and supercomputing applications. 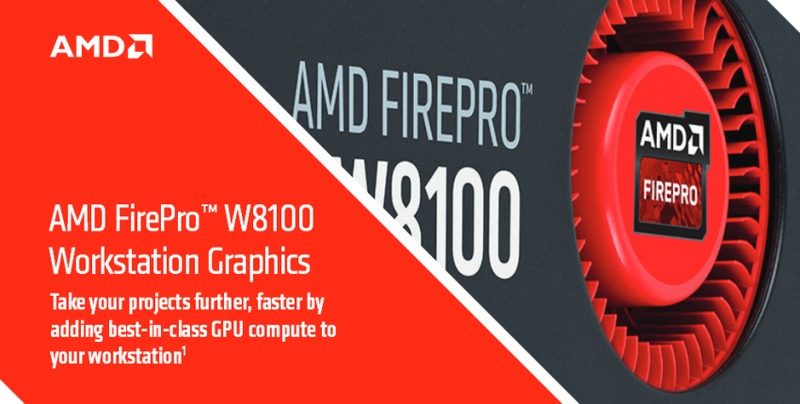 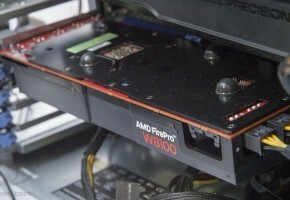 Bolstering the AMD Professional Graphics product family with yet another productive workstation solution, the AMD FirePro W8100 features a best-in-class 8 GB of GDDR5 memory, up to 4.2 TFLOPS of single precision compute performance, and unmatched double precision compute performance of up to 2.1 TFLOPS. 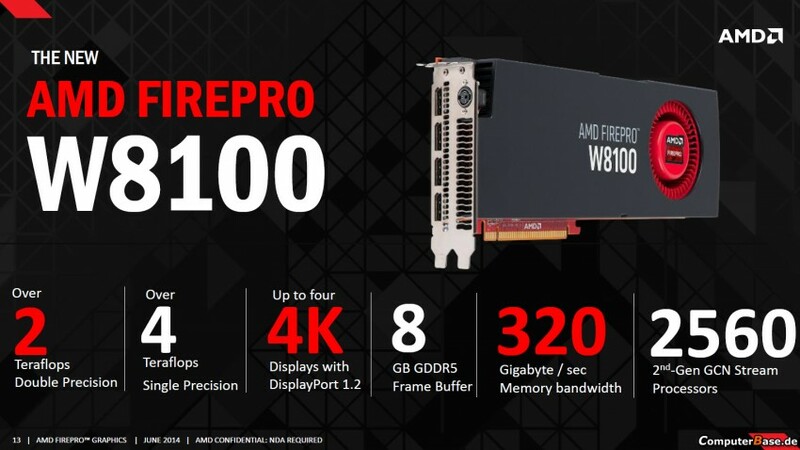 To address the increased requirements for real-time 4K productivity, the AMD FirePro Ultra Workstation was created with input from industry leaders to bring to market single- and multi-GPU configurations based on the new AMD FirePro™ W8100 that can match the demand of compute-intensive applications. 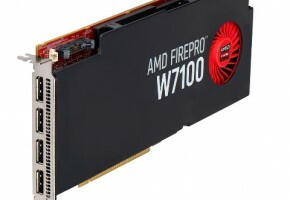 Supporting Workstation System Integrators include: Armari, CARRI, Colfax, Exxact, Mouse Computer, PSSC Labs, Scan International, Tarox, Versatile Distribution Services, Workstation Specialists and Wortmann.